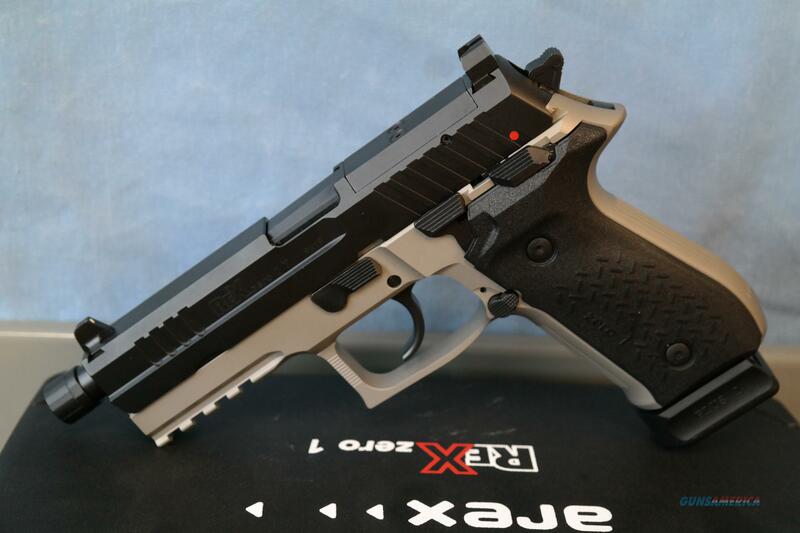 Description: This is a brand new Rex Zero Tactical pistol in a smoke grey two tone. This pistol has an ambidextrous safety and magazine release as well as a decocker/slidestop. The frame is hard anodized 7075 aluminum with a one piece steel slide. The barrel is hammer forged and 5” long with a threaded end for a suppressor as well as suppressor ready sights. The front of the slide has a picatinny rail for all your lighting and laser needs and RMR cutouts and mounting brackets. This pistol comes with two 20 round magazines slide lock and hard case from the factory.